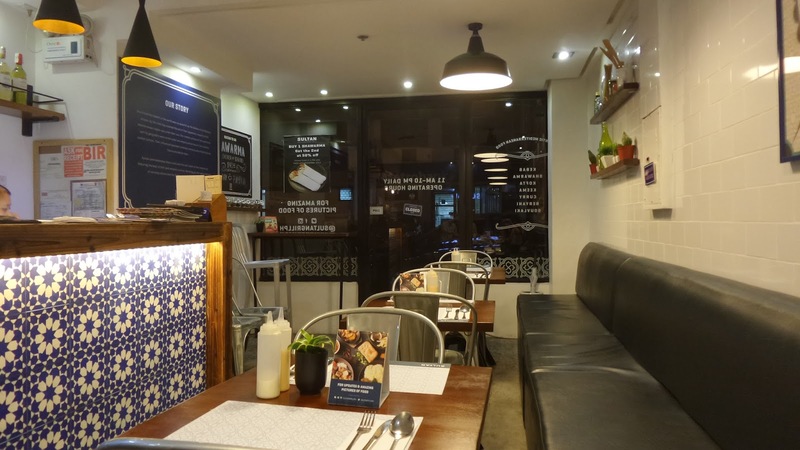 At the same street, San Agustin St, you can actually savor different cuisines at your own expense, if you can handle the servings though. 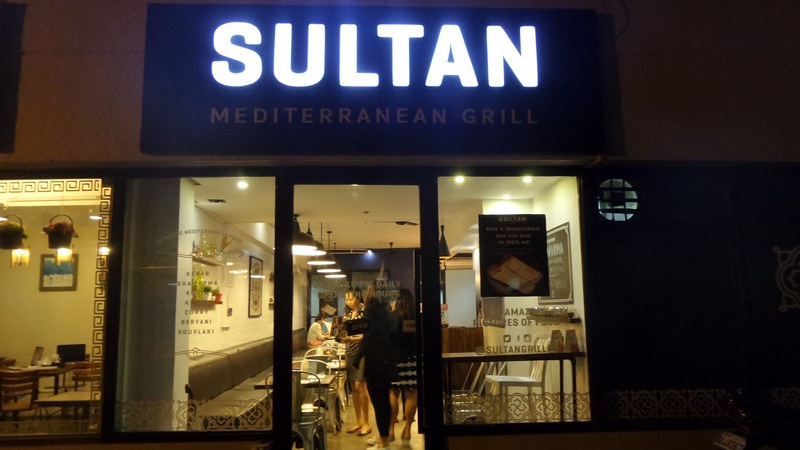 You can try Sultan, DiCofi which is right next to Sultan and Sofrito which is across the street. You might think that the place is barely new with its clean lines. 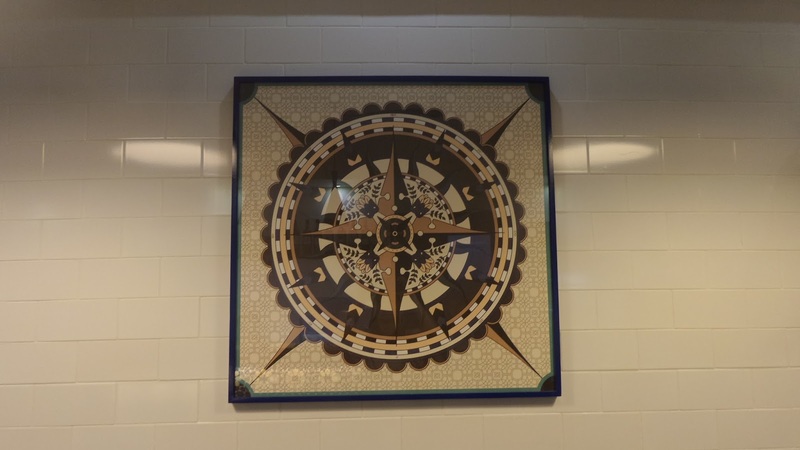 That's probably one of the good things of using the very clean subway tiles on the walls. The lighting was also perfect, with recessed lights aptly placed slightly on the edge of the ceiling. 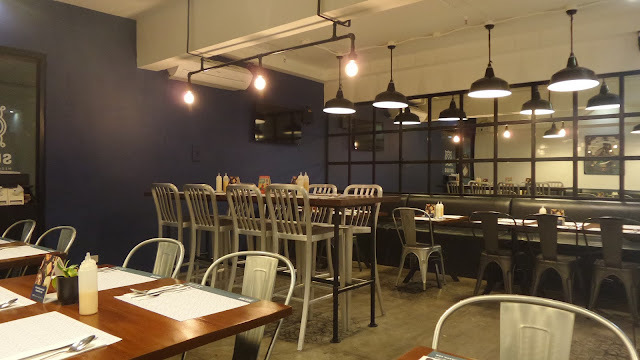 More clear lights were given off by the big industrial hanging lamps situated above some tables. 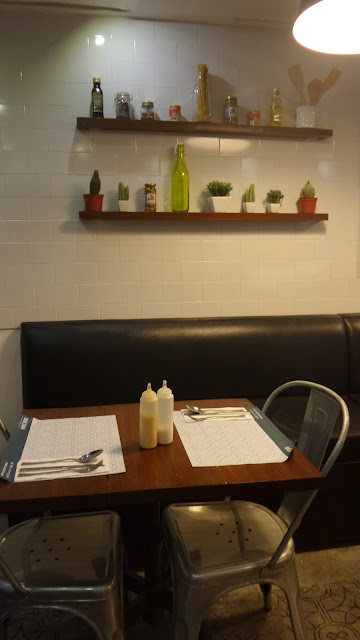 It's such an unassuming place, don't hesitate to come in, for the place is roomy at the end room. Bhogs and I found it gratifying to sit near the kitchen bar with the blue and white tiles in front of us. Well, cause I'm just a sucker for all white and blue stuff! 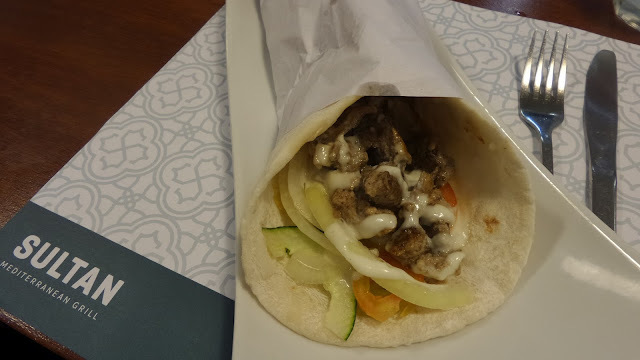 According to some foodie friends, their best-seller is their shawarma. We were also advised to try their koobideh and kebab. And that's what we tried. 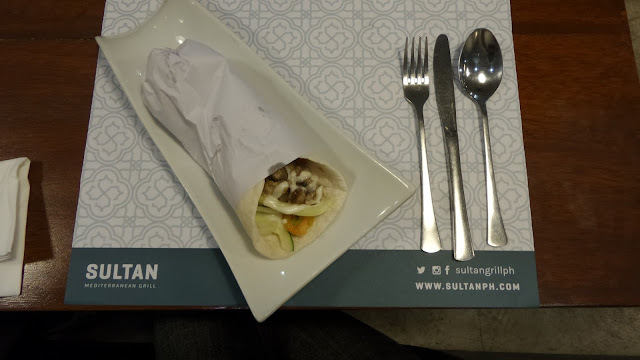 Though my kids had their hearts set for Shawarma Bros,, my vote goes to Sultan. For one, I think they serve the biggest shawarma amongst the others. Big in pita size and huge in filling, both the meat and the veggies. The white sauce that is laced around the cubed meats and veggies is to die for. Though light, it's superpacked with the flavorful goodness of garlic (without being too strong) and yogurt. 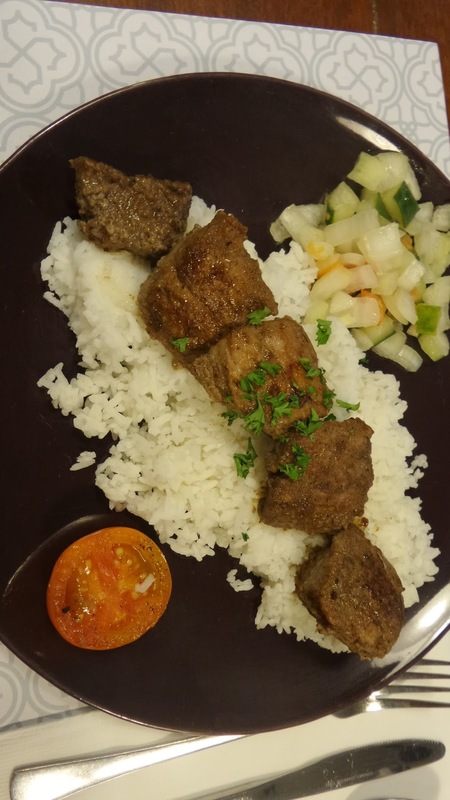 The grilled beef were cubed enough to make every bite a comfort, and it's also soft to the bite and flavored just right. I got my husband a kebab plate. I'm unaware of what choice of meat cuts they used for this. Bu he did loved it. The tender beef cuts were seared enough leaving it juicy and flavorful. The plate is complimented with grilled tomato and salad. Mine was Koonideh plate with salad. Koobideh, literally means Kebab (kabob) that has been grounded/pounded. According to Iranians, it is the holy grail of Kabob grilling, if you have a place that serves good Koobideh, you are known throughout the lands as the Kabob Master. So do you think they garnered the right to be coined as the home of Kabob master? I really wouldn't say so yet, since it's my first time to try one. But this I can say, for a foodie who doesn't really love meat, I would order this again and would want to try other variations. I love how compact and tightly brought together the ground meats were and how the spices managed to infuse into every grain of the meat. I could definitely sense hints of cumin, coriander and other titillating spices that are in it. It was served with the garlic sauce but I think they could serve more. 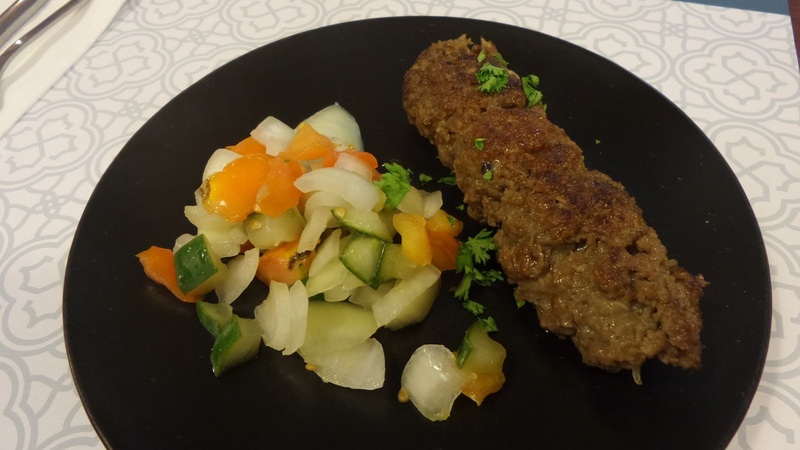 You can definitely enjoy this with rice or with pita breads. You can end your meal with Yogurt shakes since they only have ice cream for dessert.